Liability or “fault” is a key factor in all personal injury claims. Finding fault in a motorcycle accident can be the difference between recovering full and fair compensation or being left to foot the bill for medical expenses, lost wages, and more. Our attorneys will examine the specifics of your individual motorcycle accident and determine how to find, and hold responsible, the parties liable for your injuries. At The Law Office of Kamensky, Cohen & Riechelson, our experienced personal injury attorneys have over 45 years of experience serving clients in Pennsylvania towns like Levittown, Northeast Philadelphia, Bensalem, Millbrook, Penndel, Feasterville and all of Bucks County. Allow our extensive knowledge and experience to seek to gain a successful verdict or settlement for your personal injury claim. Call our office today to speak with a member of our personal injury legal team in a free and confidential consultation regarding your motorcycle accident injury and to find out how we can best serve your needs. 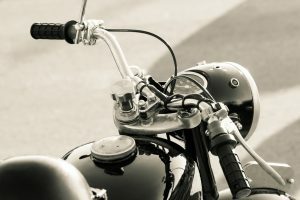 With motorcycle accident injuries, at fault parties can range from other motor vehicle operators, property owners, and even motorcycle manufacturers or retailers. Whatever the case may be, our Northeast Philadelphia motorcycle injury lawyers will need to prove that your accident was the direct result of negligent or reckless actions taken by another party. Defective product liability may find motorcycle manufacturers at fault if your bike malfunctioned, leading to your accident. If dangerous or hazardous conditions were the primary factor in your accident, that may fall under premises liability statutes. In this situation, we may move to find property owners or entities responsible for property maintenance liable. Pennsylvania state law follows comparative negligence regulations. What this means in personal injury claims is that awarded damages are granted based on a percentage of liability, entitling claimants to reduced compensation if they are found to be partially at fault for the accident which caused their injuries. For example, let’s say that a motorcyclist traveling without a valid driver’s license is severely injured by a reckless driver. The at fault driver was disobeying traffic laws, speeding, and otherwise endangering the drivers around them. Personal injury settlements or verdicts will take the motorcyclist’s actions into account as well, holding them partially liable due to their unlawful behavior. However, driving recklessly and causing an injurious accident is a more egregious action, and that will be given greater consideration. In a case like this, our Penndel attorneys will fight for a lesser percentage of fault, ensuring that our clients receive fair compensation. So long as you have not been found to be more than 50% at fault, you may still be eligible to file a personal injury claim. Of these four items, the most difficult to prove is generally fault or liability of the other party. Simply being injured in a motorcycle accident does not automatically entitle victims to compensation. To build a strong personal injury claim, finding fault is often the most important piece. The personal injury lawyers of Kamensky, Cohen & Riechelson have been finding full and fair compensation for bikers since 1972. We take pride in serving motorcyclists who have been injured in accidents across Pennsylvania towns such as Levittown, Bensalem, Millbrook, Northeast Philadelphia, Penndel, Feasterville and the greater Bucks County area. Lean on our experience to handle your personal injury claim so you can move on with your life. If you or a loved one has been injured in a motorcycle accident, contact us online or through our Bensalem offices by calling (215) 337-4915 today. A representative of our legal team will be standing by to hear the details of your injurious accident and to discuss your potential personal injury claim.